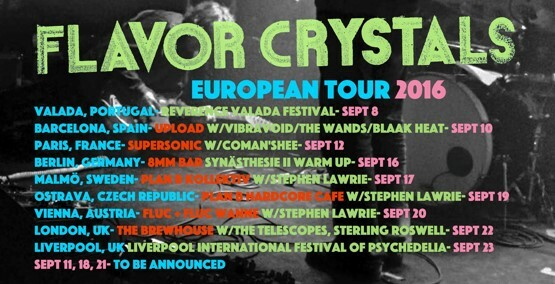 Your resource for all things shoegaze and dream pop: Interview: Josh Richardson of FLAVOR CRYSTALS and Stephen Lawrie of THE TELESCOPES. Interview: Josh Richardson of FLAVOR CRYSTALS and Stephen Lawrie of THE TELESCOPES. Minneapolis-based Flavor Crystals have been releasing quality space rock since 2005’s On Plastic. Excellent right out of the gate, Flavor Crystals continued that trend with the release of three subsequent psych-tinged long players – Ambergris (2007), Three (2012) and The Shiver of the Flavor Crystals (2015). The Shiver of the Flavor Crystals, perhaps their best work to date, stayed on constant rotation last year and easily made our Best Records of 2015 list. The band has toured with Brian Jonestown Massacre, LSD and the Search for God and The Telescopes, among others. 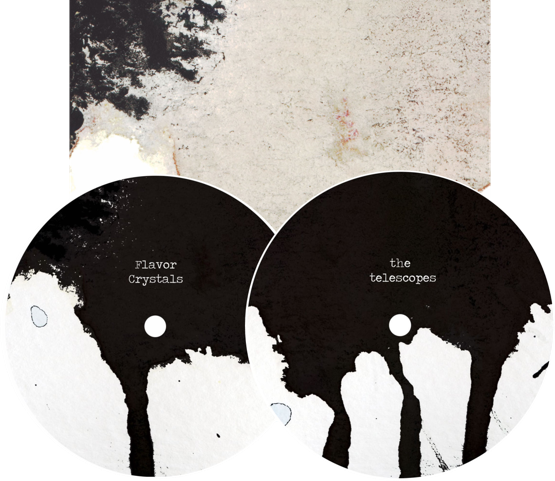 Since their fateful meeting on the 2012 tour, Flavor Crystals and The Telescopes have joined forces, collaborating on songs, sharing projects and touring together. The mastermind behind the Telescopes, Stephen Lawrie, has long been a favorite of ours – we’ve featured him here many times and his work has been consistently impressive since the band’s 1989 debut, Taste. Definitive from the outset, Lawrie has defined and redefined psychedelic noise/space rock until he’s perhaps become the definition itself. Long may he reign. 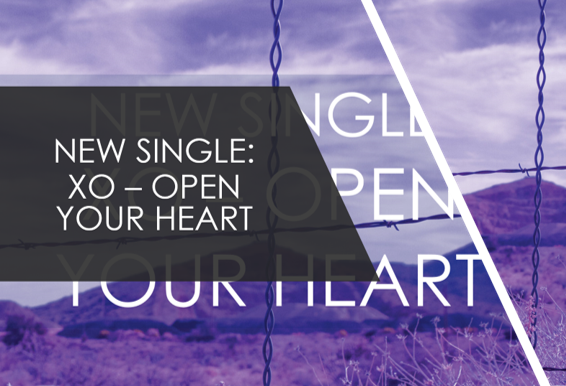 The two projects have recently joined forces again, with a forthcoming split single to be released on September 27 (pre-order it here) and tour dates coming up, starting this weekend (dates listed beneath the interview). Not to be missed! We are thrilled to share this interview with Josh Richardson of Flavor Crystals and Stephen Lawrie of The Telescopes with you. Josh Richardson: Flavor Crystals kind of came together slowly but the core of it has always been my friendship with Nat Stensland. We have been at the core from the beginning. I think I played My Bloody Valentine “Isn’t Anything” for him and he played me Flying Saucer Attack when we first discussed forming a band. We’ve had two solid lineups, the first of which features Dan Miller and Nick Foerster, who play on our first two records. Vince Caro and Jon Menke are currently with us and are on Three and The Shiver. All of these guys are dear to me and have influenced me greatly. Interestingly, both lineups will be featured on our September European Tour. Dan and Nick will be joining us for Reverence Valada, Barcelona and Paris. The remaining shows, including Liverpool Psych will feature Vince and Jon. Stephen Lawrie: The Telescopes started out in 1986 as a figment of my imagination, it grew from there. Can you tell us what the band has been working on and what you've got forthcoming in the near future (any new releases, tour, etc.)? Tell us more about the Telescopes split. Josh: We have become almost entirely instinctive about creating. We simply get together in a room and see what comes out. Thankfully Nat does a nice job of engineering and editing what happens into something we can work with. We have been lucky enough to use a similar process in collaboration with Stephen and it’s unreal how different and intense the music becomes with Stephen’s presence. He’s like a shaman. 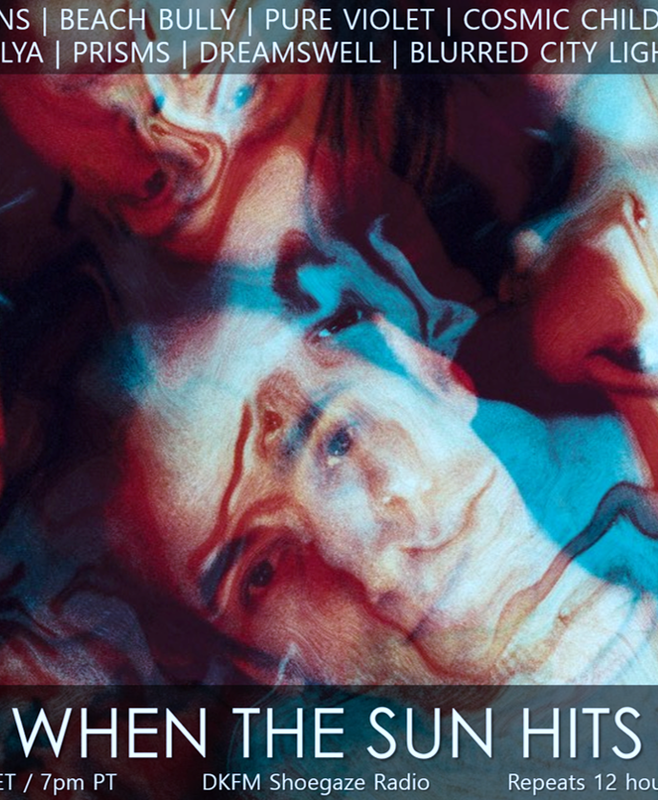 The Telescopes track on split single is a result of this. We recorded together when we convened to play the Drone Not Drones event in Minneapolis this past February. A few of us play on the Telescopes track and Nat engineered it. Stephen had a graceful process of wrangling the mix together to match his vision. I think the track pulls you into a trance whether you want it to or not. The FC track came together in a couple sessions. We had been conceptualizing a longer piece that could sprawl out across an album side. The first half of the track was recorded before Christmas and the second half came together in one spontaneous session. I happened to purchase a JSQ-60 sequencer for a Juno-60 and used it for the first time on the ending. Stephen: I actually went over to Nat’s just to record my acoustic set, but Nat had invited his friend Dave Gatchell along to play drums with me, it forced me to think on my feet and come up with something different, so we ran through a few versions of "The Living Things" from Hidden Fields just to warm up. Nat and Josh felt the third and final take we recorded was something special and they were right, it’s a different shape to the album version, with a life of its own. How did your band get involved with Stephen Lawrie? Are you planning on doing any more work together in the future? Josh: We met Stephen while touring with the Telescopes and LSD and the Search for God a few years back. Those Telescopes shows were so raw and brutal! I joined them for a mind demolishing gig down in Des Moines, and I haven’t been quite right since. Really looking forward to touring together in Europe between Sept 17 and 22nd! Stephen will be playing solo...which is a lovely thing to experience. The tour will culminate in a full-on Telescopes gig at the London Fields Brewhouse Sept 22, with Flavor Crystals and Sterling Roswell supporting. Stephen: There was an element of coincidence involved as well, as it turned out, Nat lives just a couple of blocks away from my girlfriend in Minneapolis. We also have a mutual friend, Enrique Maymi. Enrique invited us over when he was staying with Nat and I ended up playing on "Mirror In My Mind." Josh: For Flavor Crystals, we have always focused on mood. Our music can really be a bit of a mess, but we know when the mood is right. We have gotten support from quite a few different sub genres, and people rarely compare us to other bands (at least to our faces.) That being said, we wouldn’t be heard much at all if weren’t for people rallying around their favorite genres and spreading the word. Stephen: It’s similar for The Telescopes, I think I may hold some kind of record for the amount of genres associated with one band. I embrace them all and belong to none. It’s an open relationship. I prefer to live on the edge of town. Josh: LSD and the Search for God are sweethearts and have very strong songs. I personally have a soft spot for Tamaryn. Tales of Murder and Dust from Denmark are new to us and wonderful! Highlands from Long Beach as well! The Veldt are mesmerizing. I could list hundreds if I get on a roll. Stephen: Flavor Crystals, LSD, Narcosatanicus, Bona Fide, Moss Folk, Tau, St Deluxe, The Imajinary Friends, One Unique Signal are all making great music at the moment. Josh: I think my sound came from a Tel Ray Variable Delay that I still own but rarely use. It mesmerized me with wobbly watery echoes and then tried to kill me by shocking me repeatedly. My infatuation with pedals came from me trying to find a safe alternative to it that had the same random beauty. Still searching. Stephen: For me it’s whatever inspires. Although Marshall amps, Flangers, Phasers, Fender Stratocasters and guitar solos are all forbidden. Josh: We record everything, and as well as we can. Record everything, and as well as you can. Stephen: I don’t have a set process. Josh: Bandcamp and smaller genre focused blogs have been very gratifying for FC. We get to know so many true music lovers and other fantastic bands this way. Stephen: I’ve always done both, It keeps things interesting, working in different ways. I am working on a commissioned project at the moment which is different again. I think DIY culture is vital to our freedom as a race to find new ways of existence. Josh: I prefer listening to music without my eyes on a computer screen. Yeah I love records, but maybe when my floors collapse I’ll regret my addiction. Stephen: I buy things in all formats, but cassette and vinyl sound best to me. It’s what I grew up with so it’s always been a reference point. I’m an analogue being in a digital world. Josh: The ones that have demolished my brain, and I’d say Stephen is definitely one of them. Stephen: Everyone who has played in The Telescopes. Pre-Telescopes it was Suicide, Velvets, Elevators and Stooges. Josh: Perhaps my Shaman could comment on that? Stephen: Breathing out and breathing in. Did you know you can shorten your urls with AdFly and make $$$$ for every click on your shortened links.